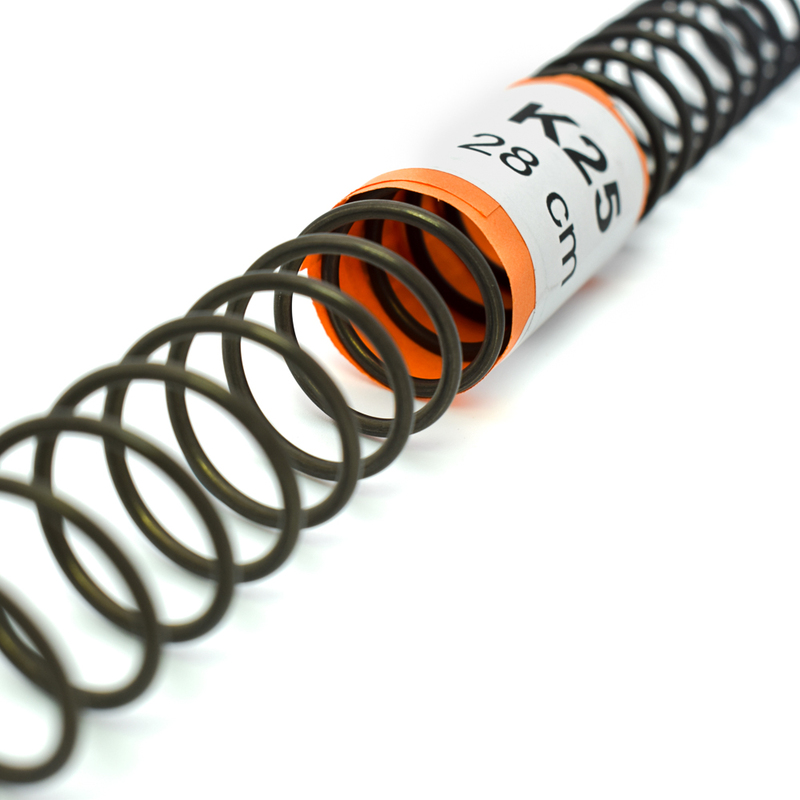 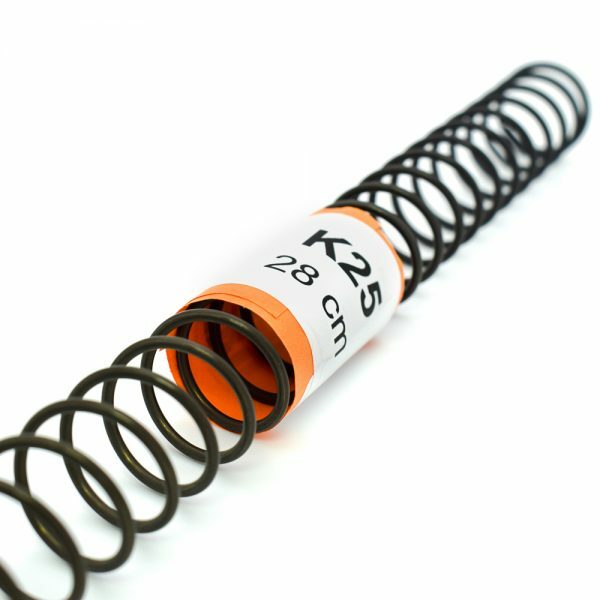 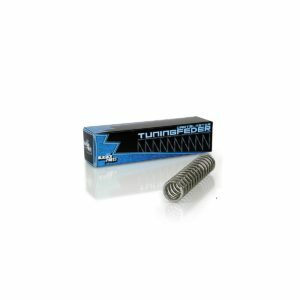 The K25 spring is a well known spring by modders. 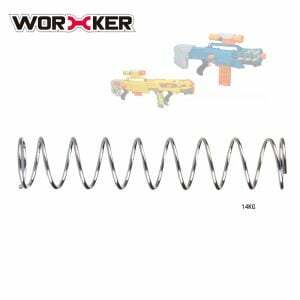 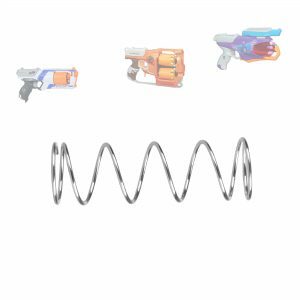 Tis universal spring is compatible with a lot of blasters. The K25 is a bit less powerfull than the K26 spring. These springs are being custom produced for Out Of Darts and have two squared ends. 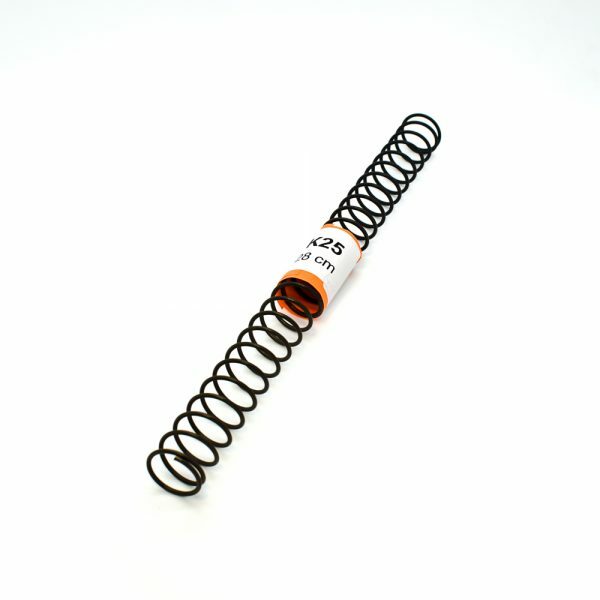 One spring has a lengt of 11″ which is around 28 cm.